"Wisdom is to have dreams big enough not to lose sight of them when pursued." 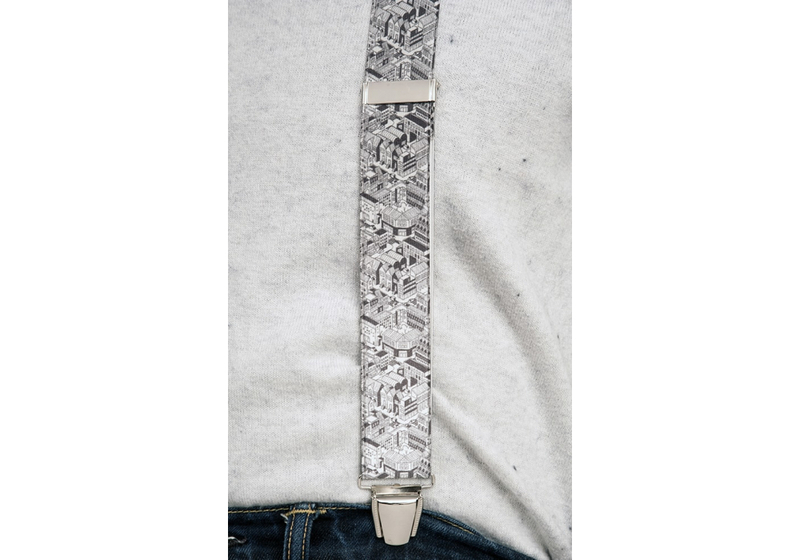 120 cm long and 35 mm wide, the Citadine wide suspenders are made of white and black elastic bands (Polyester and Elastodian) joined by a leather part stamped "Les Bretelles de Léon". These thin "Citadine" suspenders are equipped with stainless steel fastenings with a rubber reinforcement to not mark clothing. Without any constraint, wear them on any type of pants.